Both models are equipped with backup power, according to the minimum requirements of corresponding Building Regulation for new housing, i.e. Grade D (BS5839, Part 6). Ionisation Smoke Alarms are used for a condition where a flaming fire is more likely to be a hazard quickly, such as dining and living rooms. 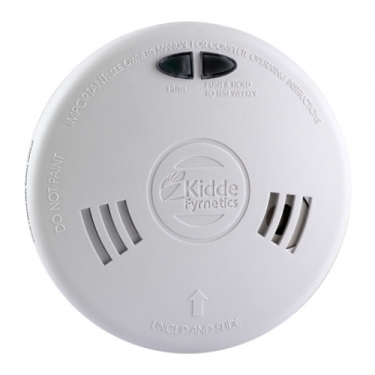 They are more difficult than Ionisation alarms for prone from cooking materials and steam near kitchens. Because the alarms contain a very small amount of Americium 241 radioactive material, they are considered to be stored and disposed. 1SFWR - with the latest Rechargeable Polymer Lithium cell back-up and full 10-year guarantee. 1SFW - with Duracell loose alkaline battery back-up and 6-year guarantee.